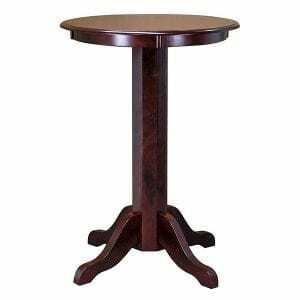 You have the billiard table and maybe a few chairs, but the finishing touch is definitely one of our Traditional Billiard Cues Stands. 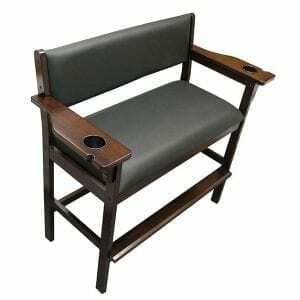 Smart looking and functional, these stands allow you to easily grab a cue and start playing, or rest your cue while you grab a snack or drink. 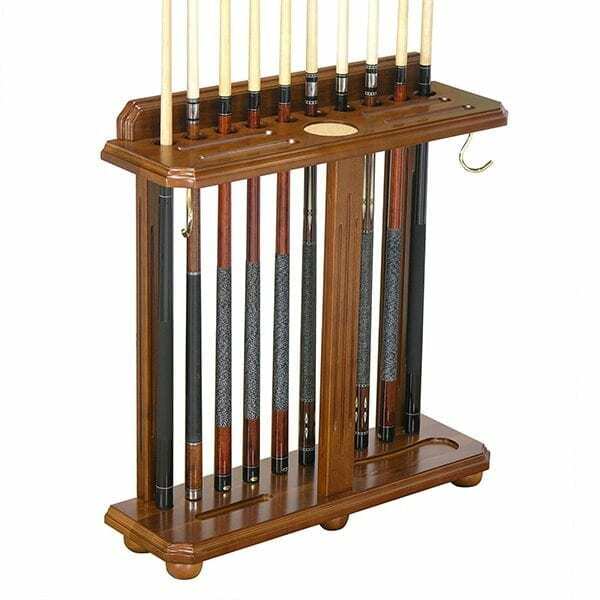 This traditional looking cue stand holds 10 cues, a full set of billiard balls, and 2 ball racks. There is an accessory shelf on the bottom for additional accessory items. Accessories shown in photo not included. 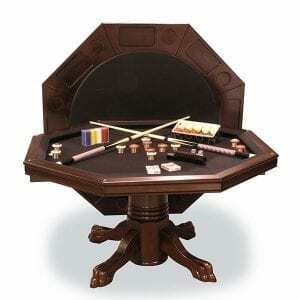 While you are shopping take a look at our range of billiard ball sets and accessory kits. 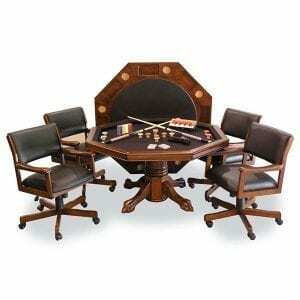 Team these with your cue stand and you’ll have a well-outfitted billiard room.